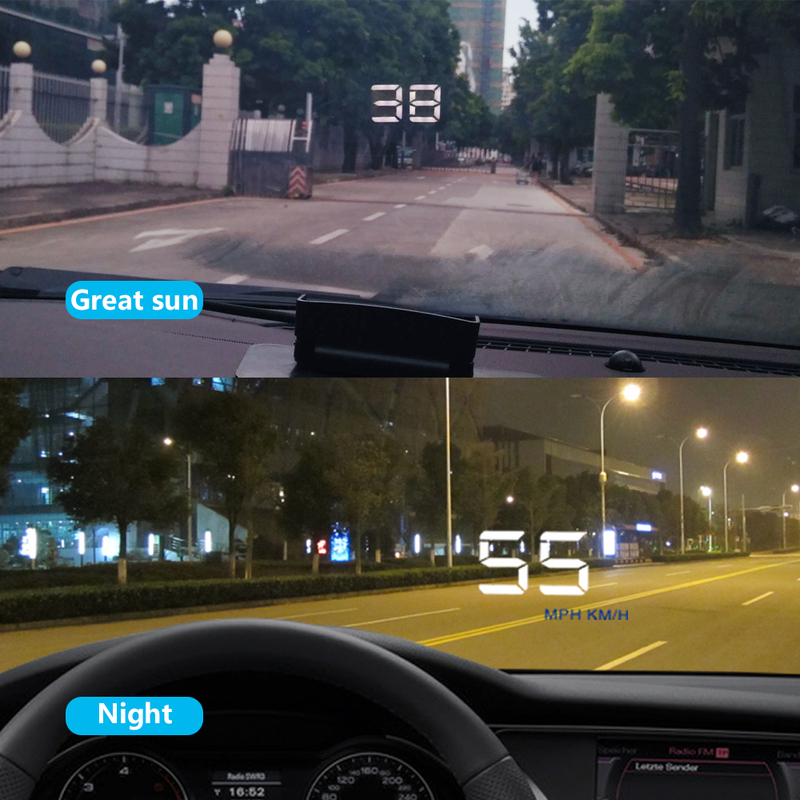 4.Nano-technology to eliminate double reflections, more clear. 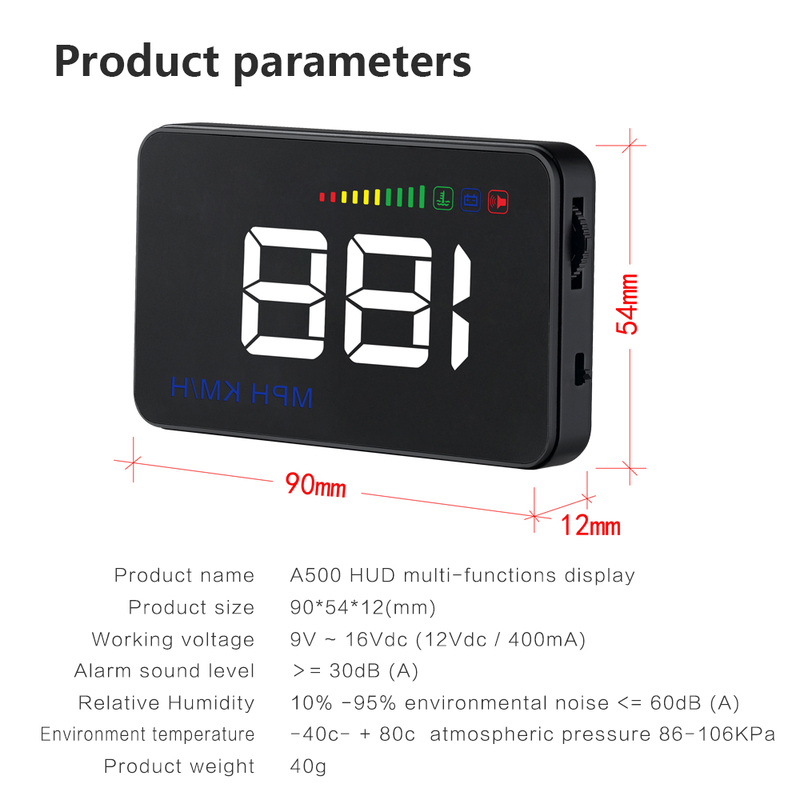 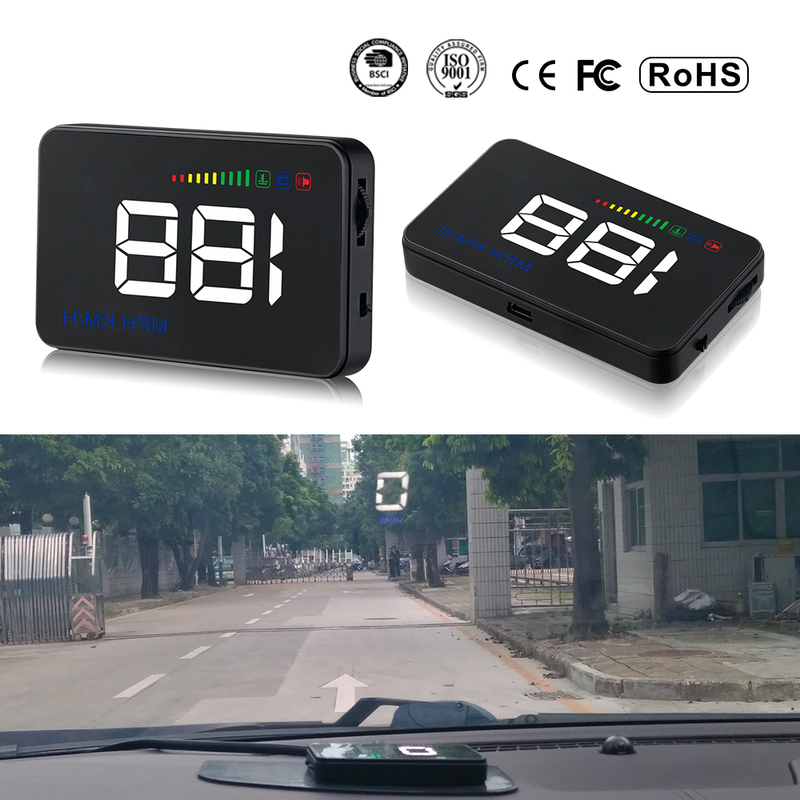 5.Rich Contents: speed, RPM, water temperature, oltage, low voltage alarm, high water temperature alarm, over speed alarm, freely switch between kilometers&miles. 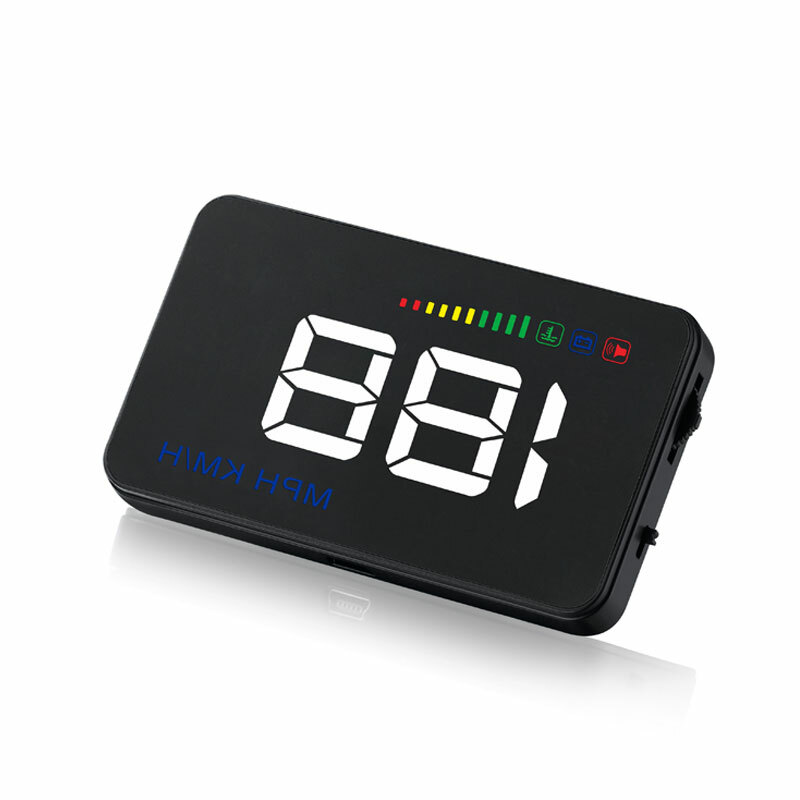 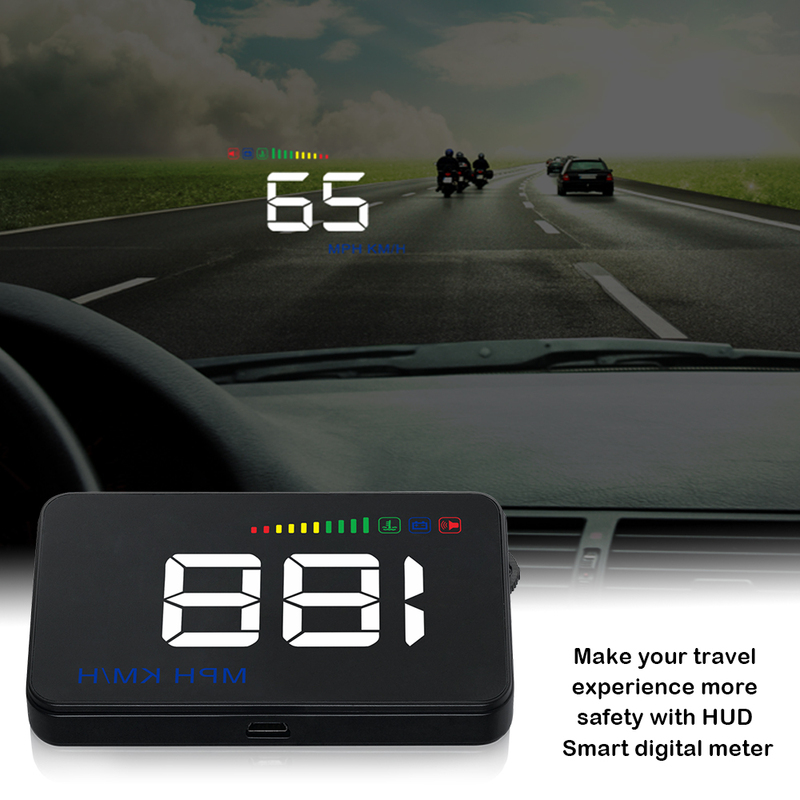 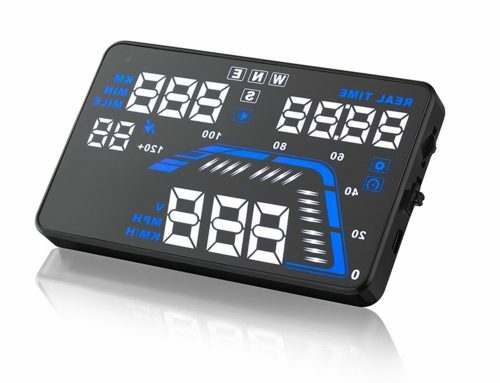 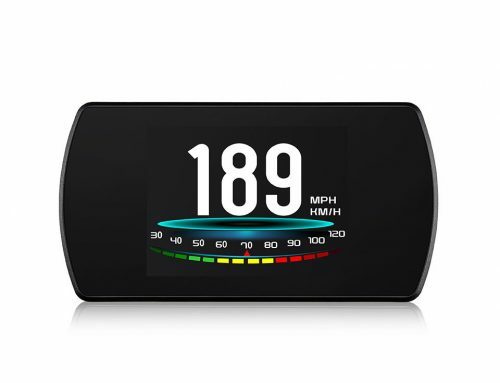 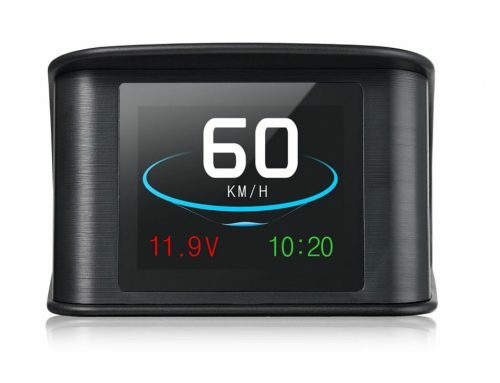 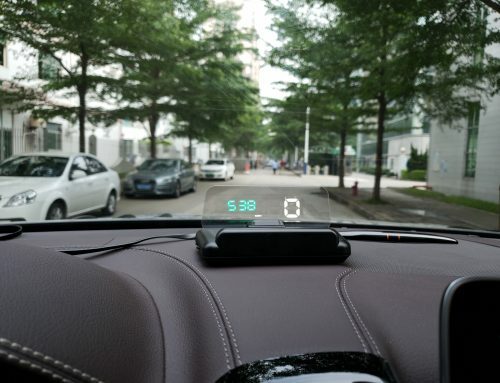 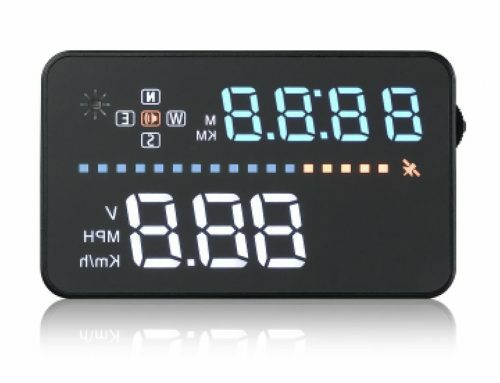 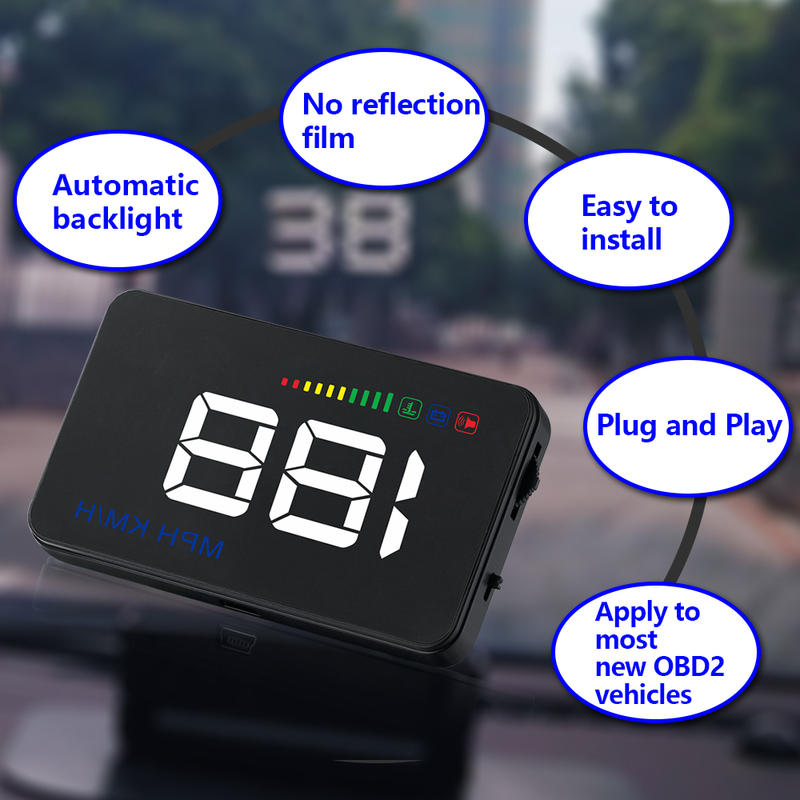 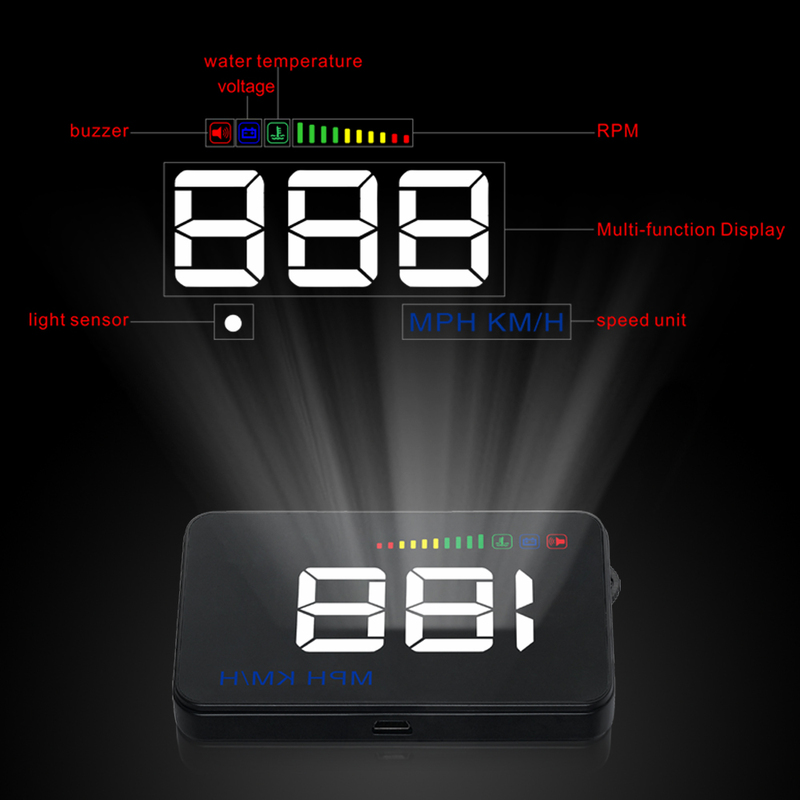 6.Auto power on/off: HUD start and off with vehicle started and shutdown, effective protection of the car battery; retaining the manual switch mode, more easy to control HUD.